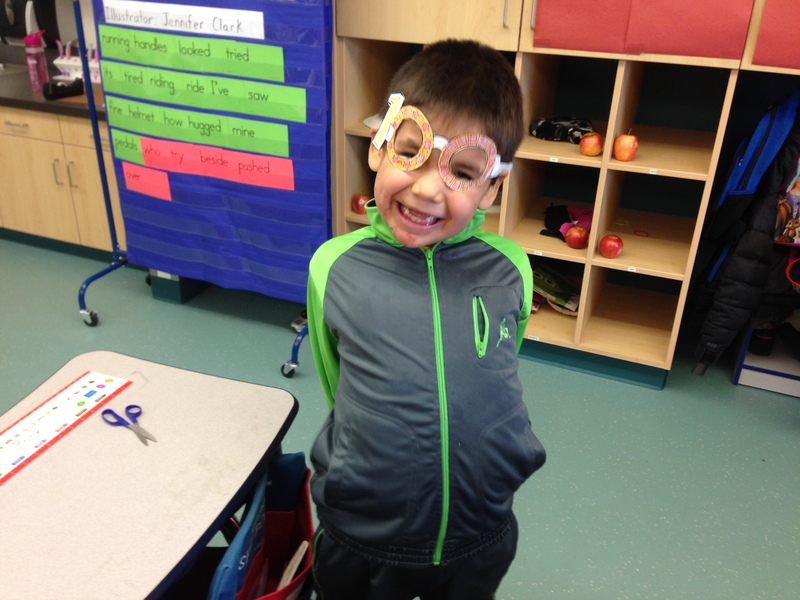 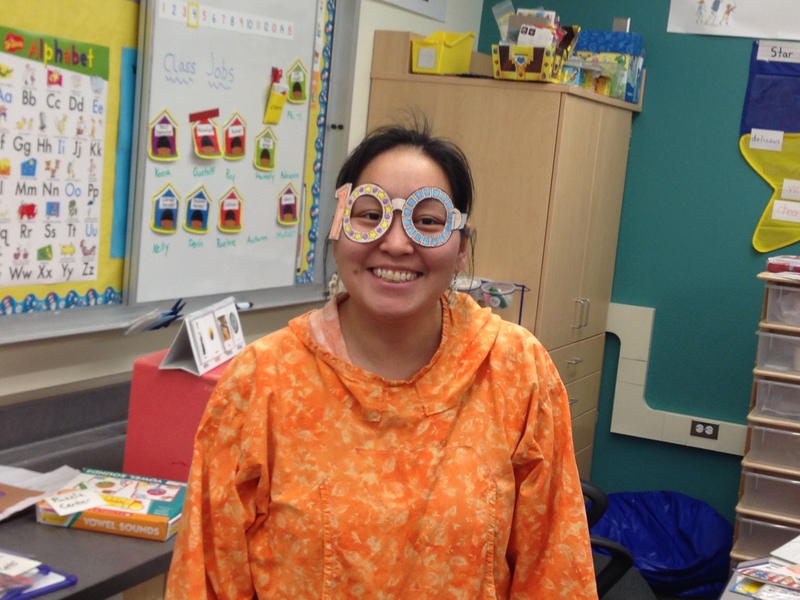 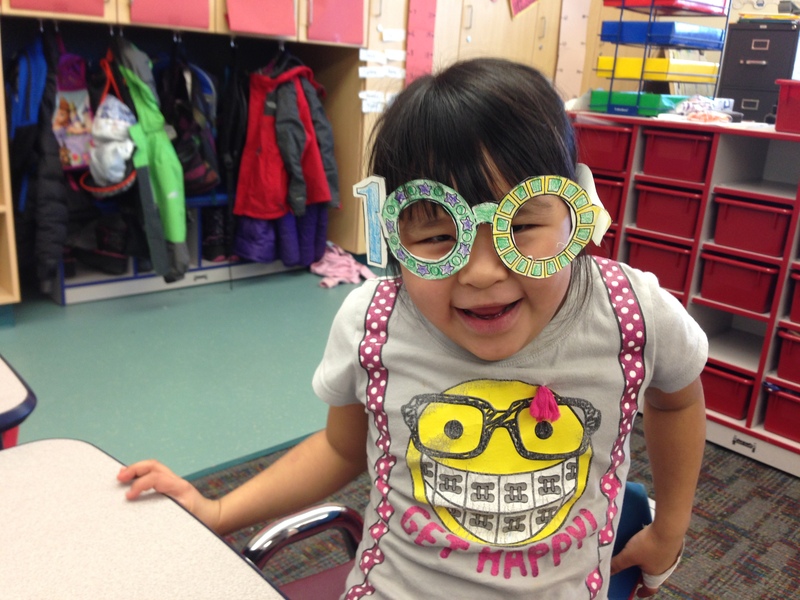 Today we celebrated our 100th day of school! 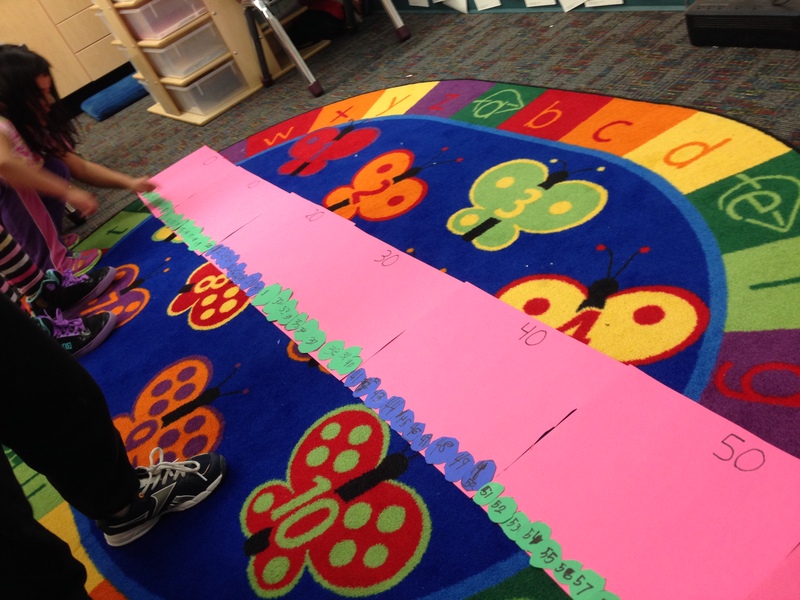 We started by rereading “The Very Hungry Caterpillar” by Eric Carle and then created a list of things that the very hungry caterpillar could eat 100 of. 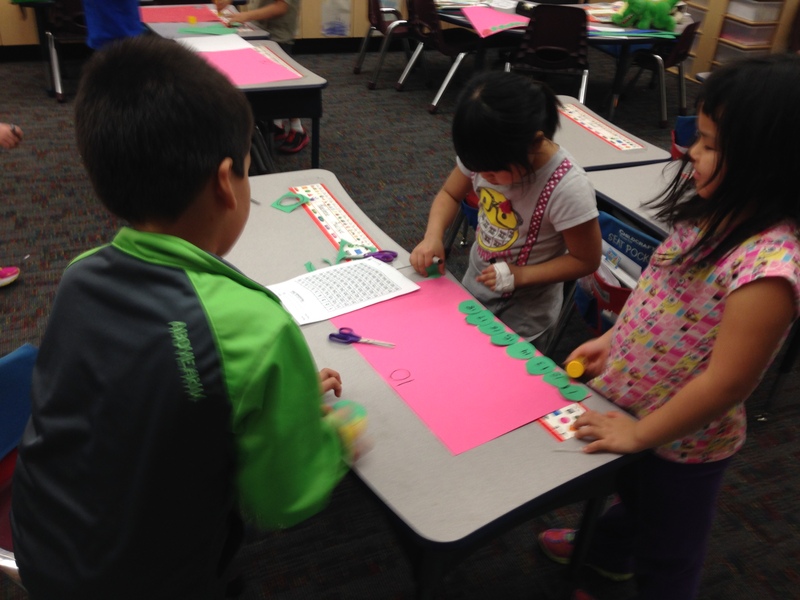 We then created a caterpillar that is 100 circles long. 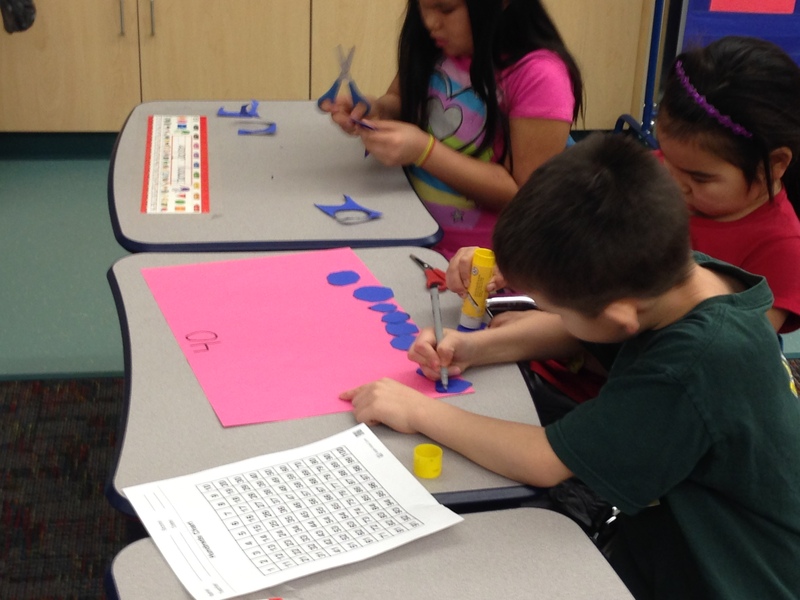 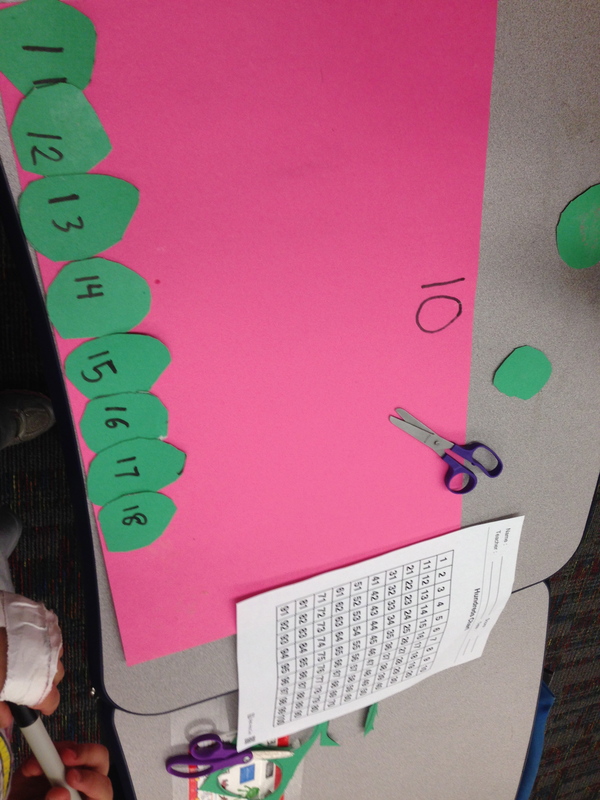 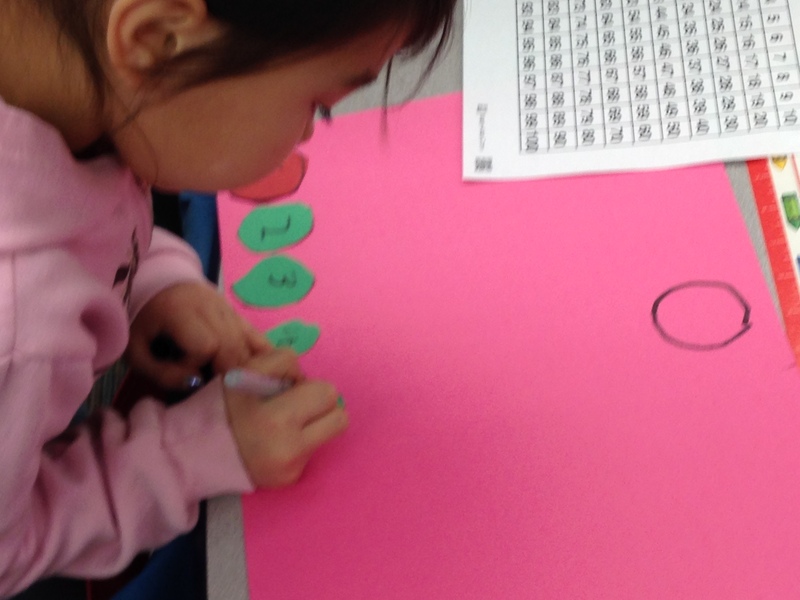 The class was put into small groups where the groups made a set of 10 circles and wrote numbers on them. 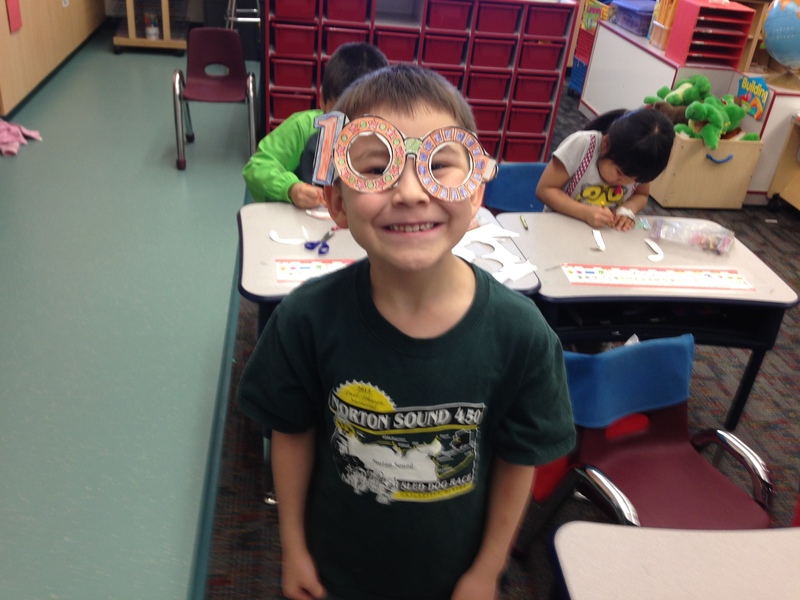 We then practiced adding tens and ones in Starfall.com’s place value interactive game on the SMART board as well as make 100 day glasses. 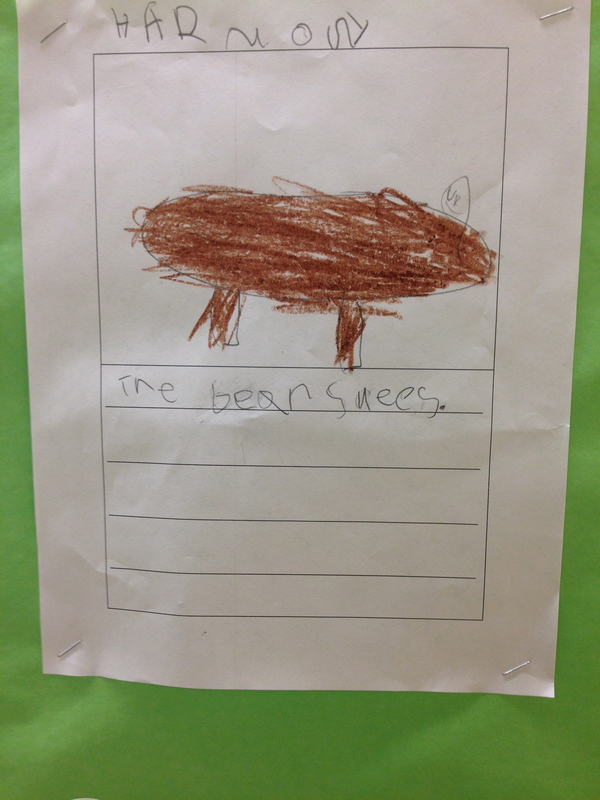 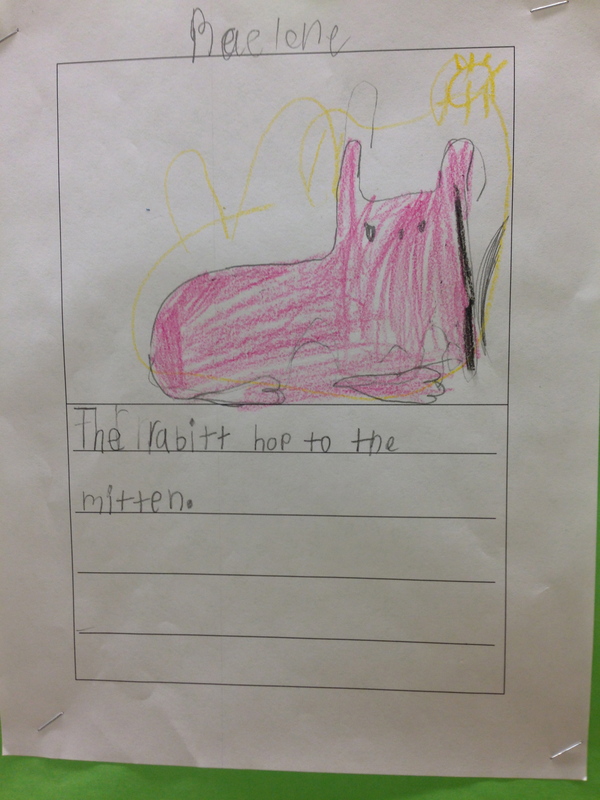 We are learning about describing words and we’ve been applying them to our 5 senses in writing. 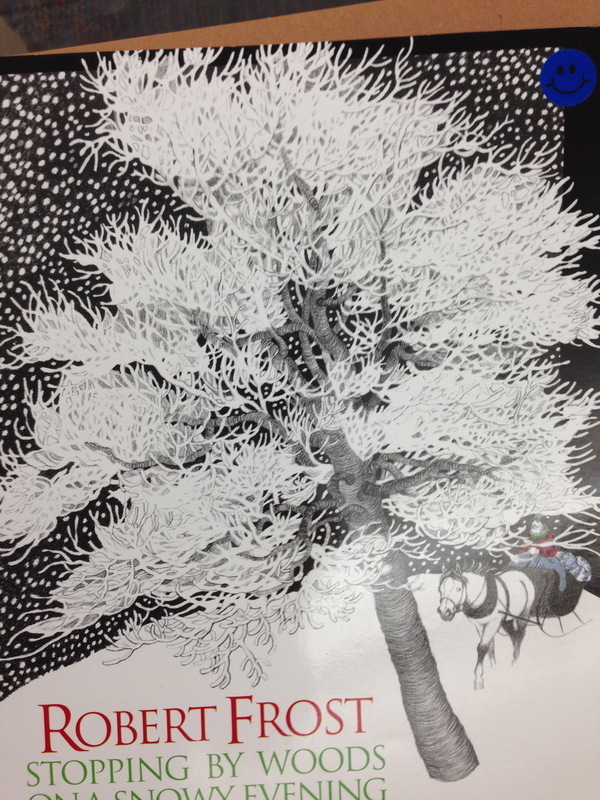 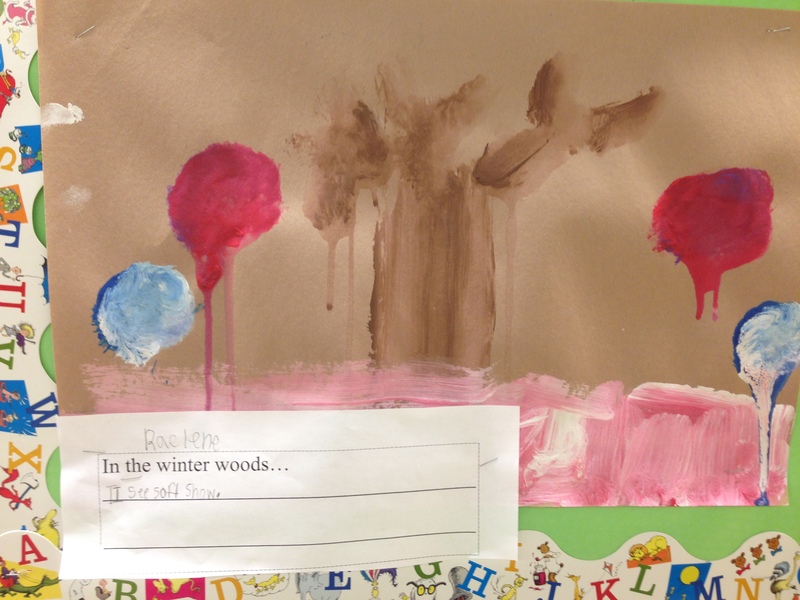 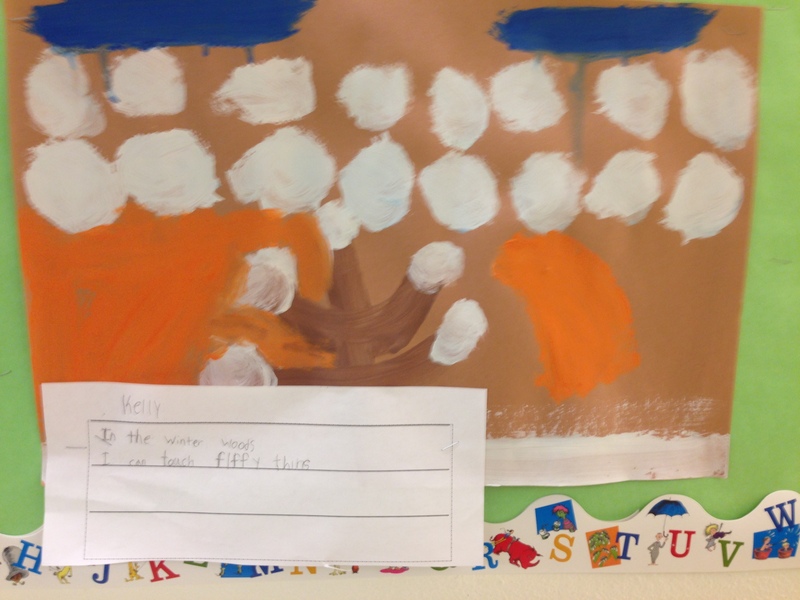 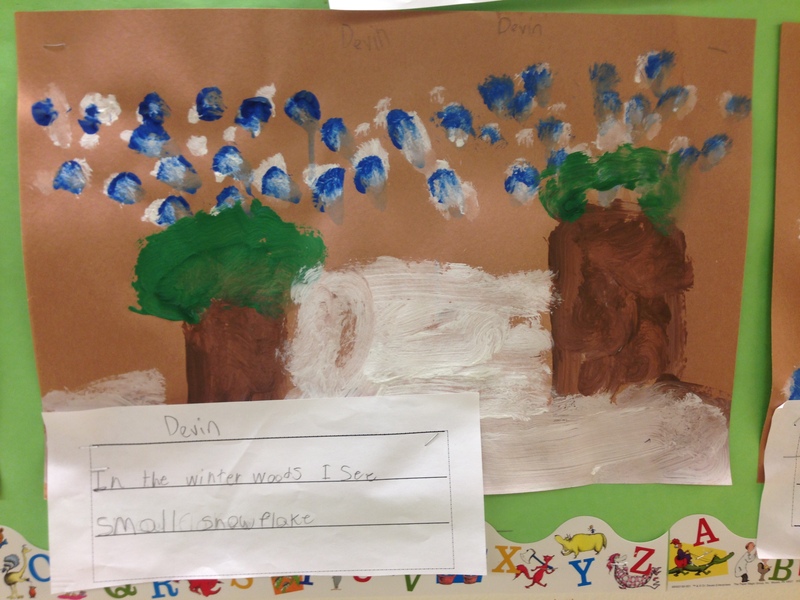 We read the Poem by Robert Frost “Stopping By the Woods on a Snowy Evening”. 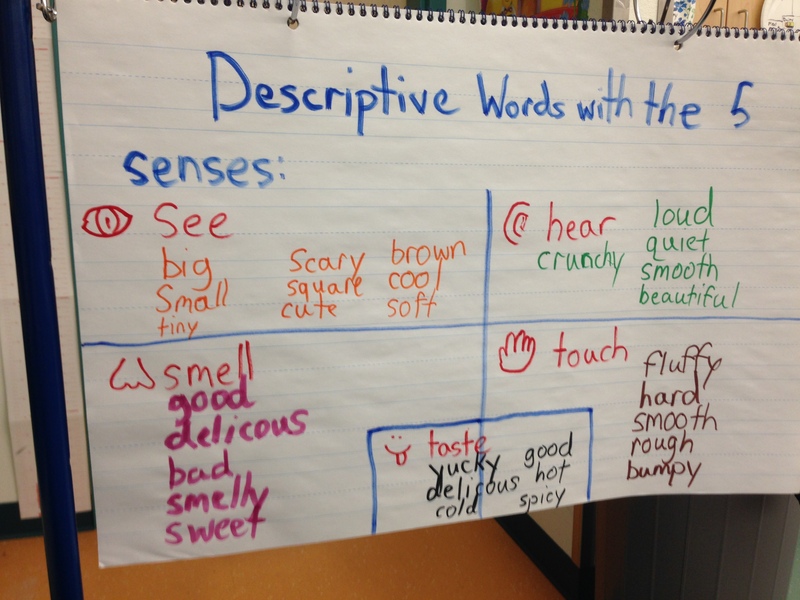 We identified descriptive words in the poem as well as other descriptive words that match our 5 senses. 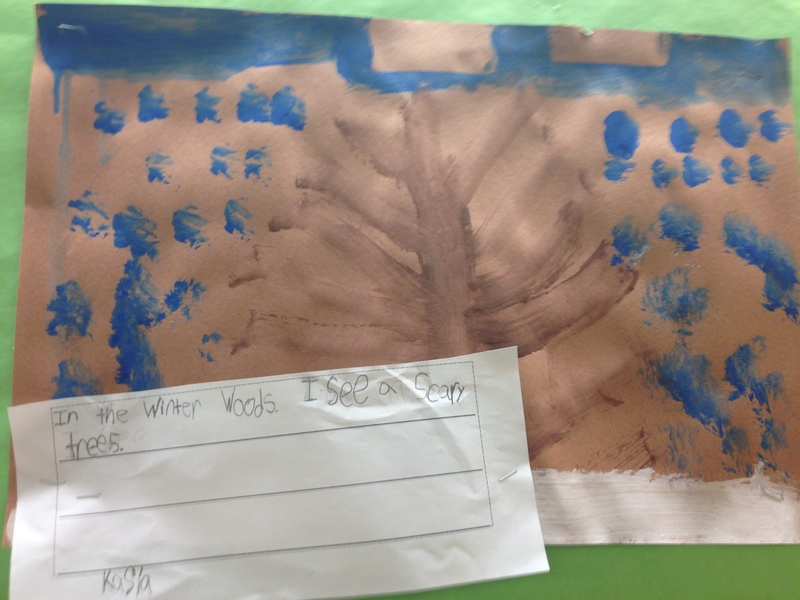 Then incorporated our descriptive words into writing about our own winter woods about things we can see, hear, touch, taste, or feel. 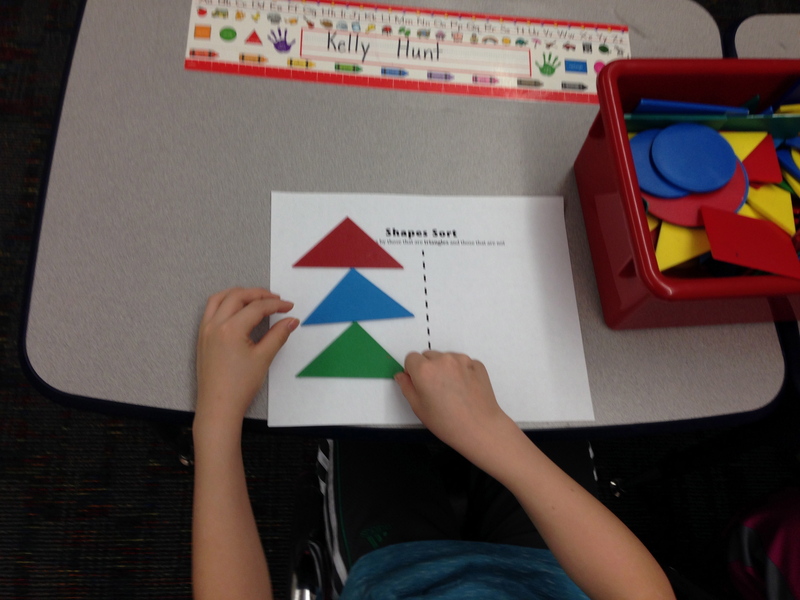 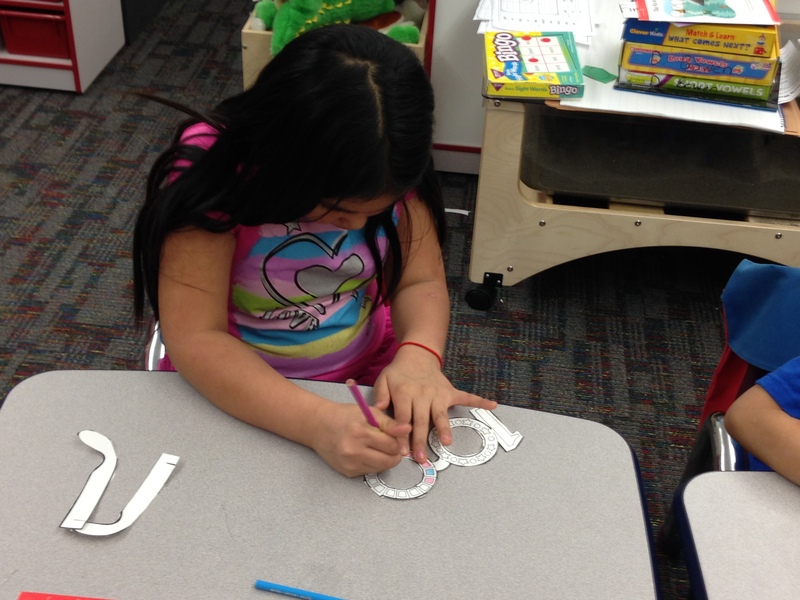 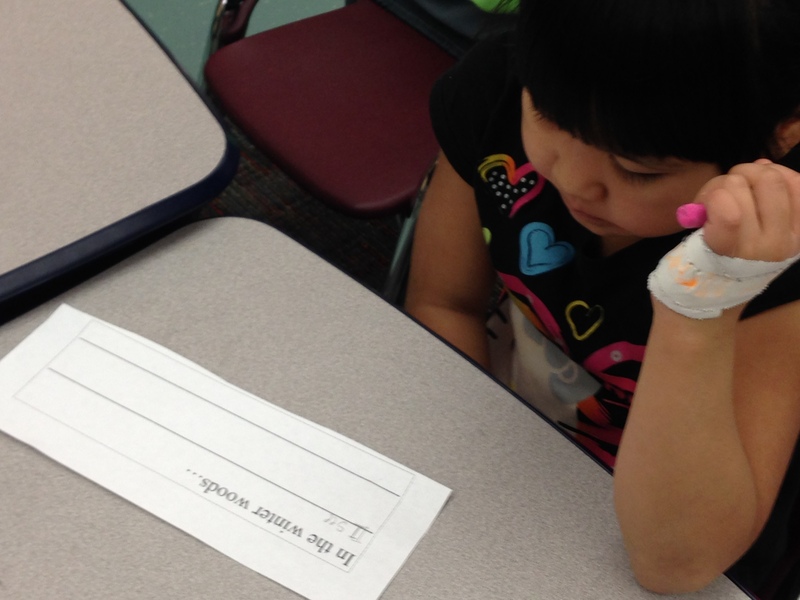 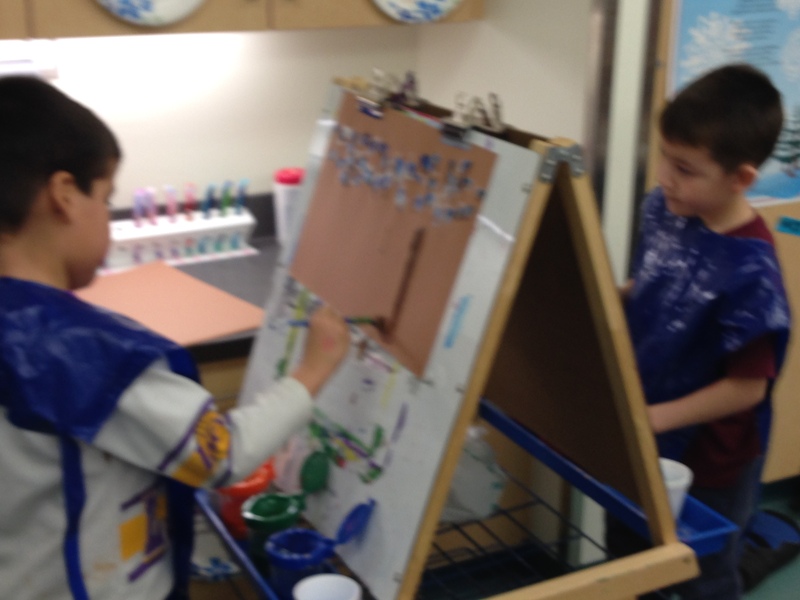 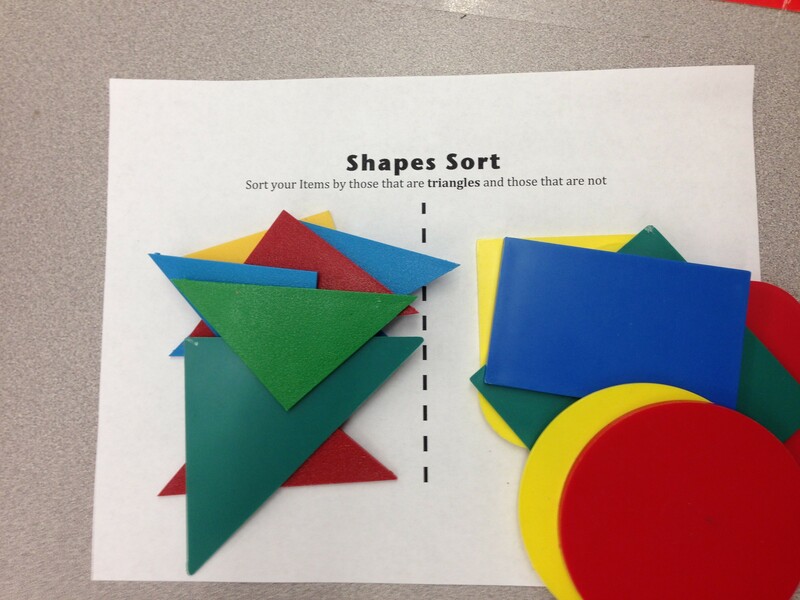 This week both Kindergarten and 1st grade began their Geometry units this week. 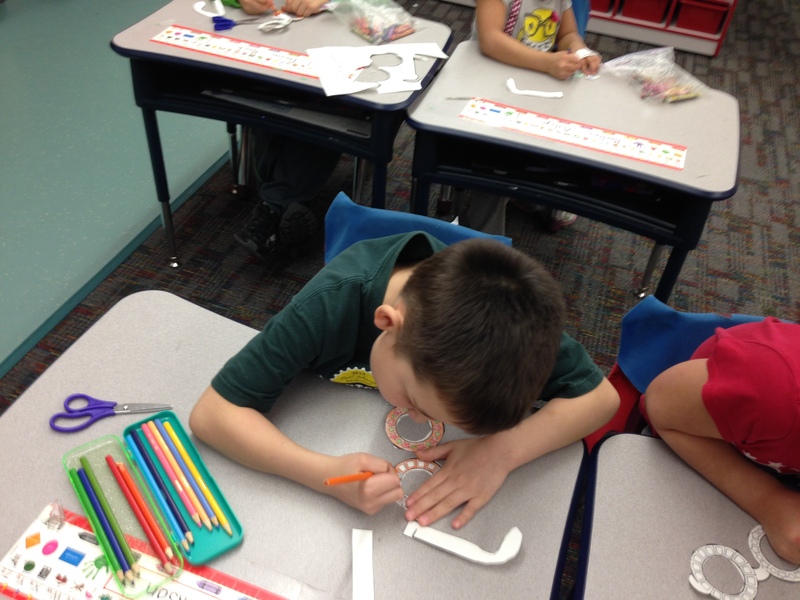 1st Grade is reviewing plane shapes and how to manipulate plane shapes to make other shapes. 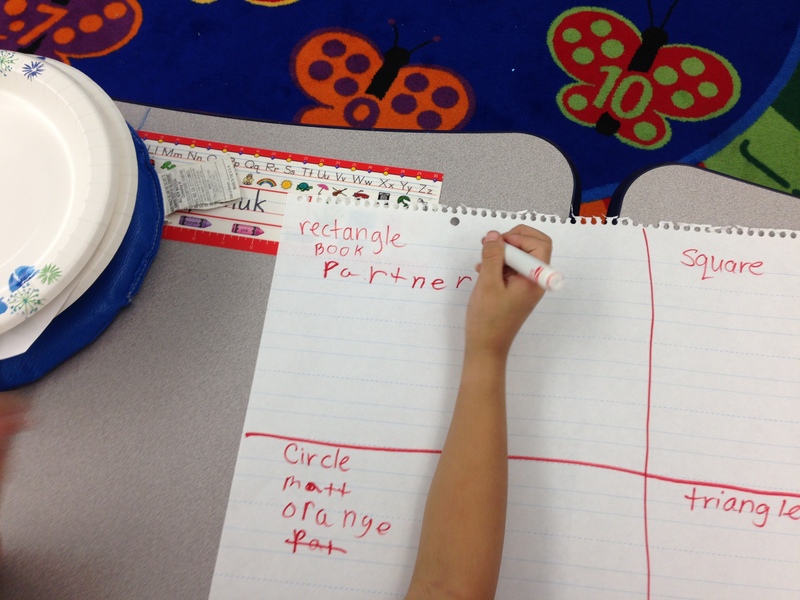 Kindergarten is learning names of different plane shapes and their attributes. 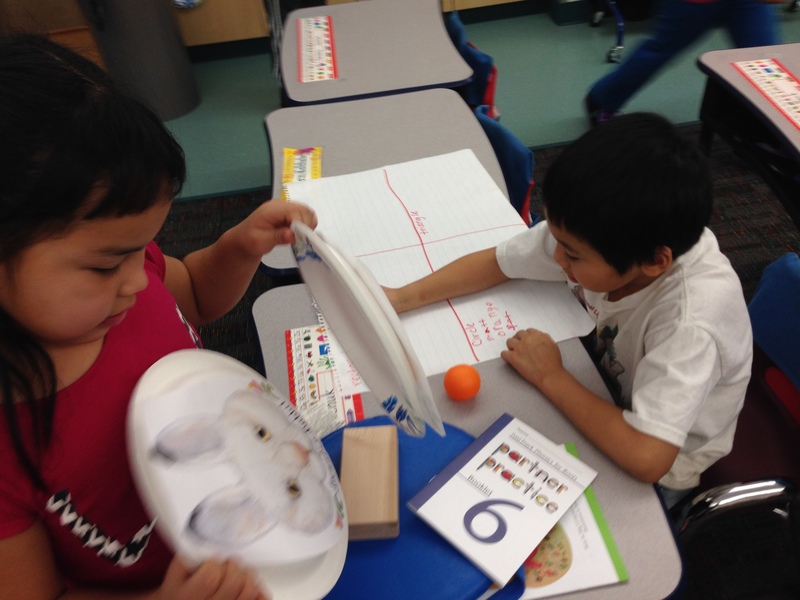 The whole class was divided into teams of 3 and went on a scavenger hunt looking for things in the classroom that represented plane shapes. 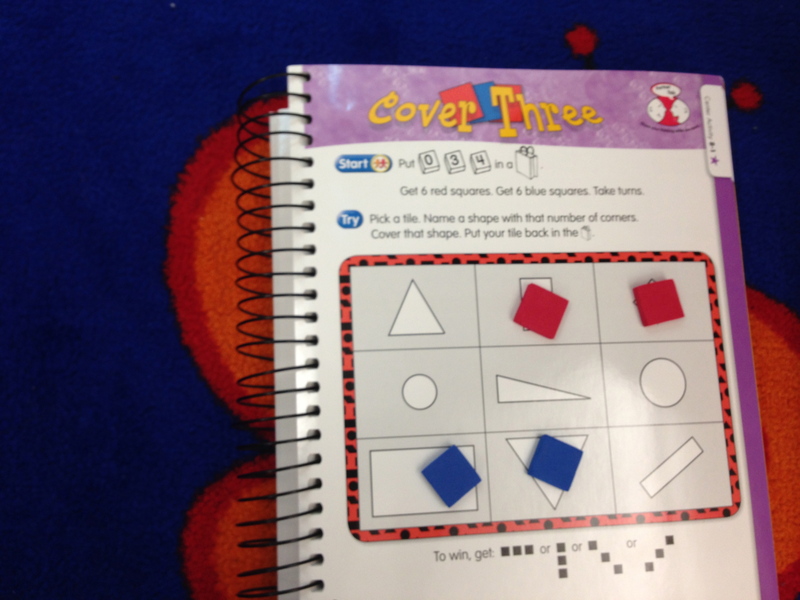 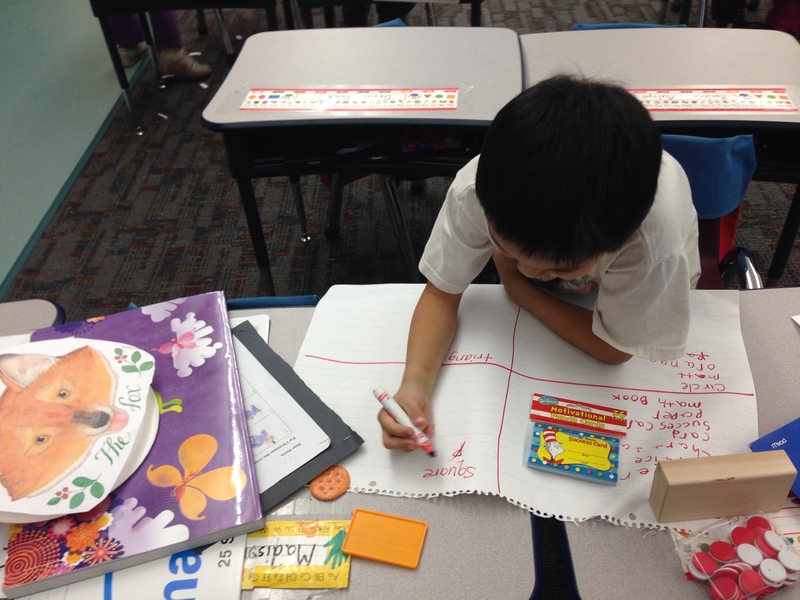 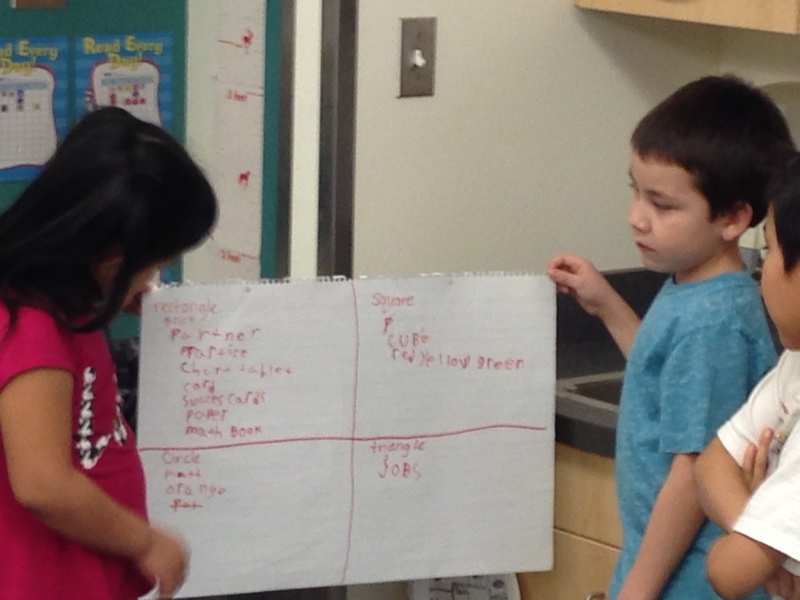 Then they constructed a four corner map showing the items they found. 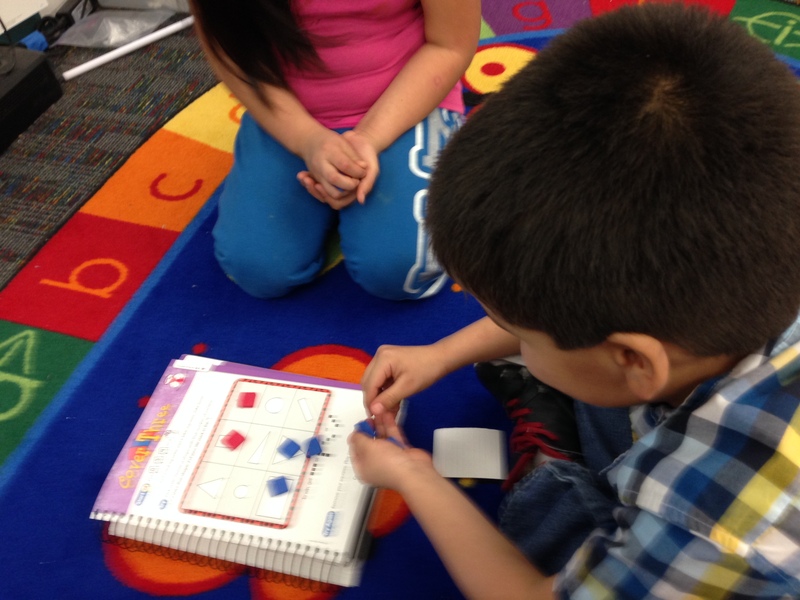 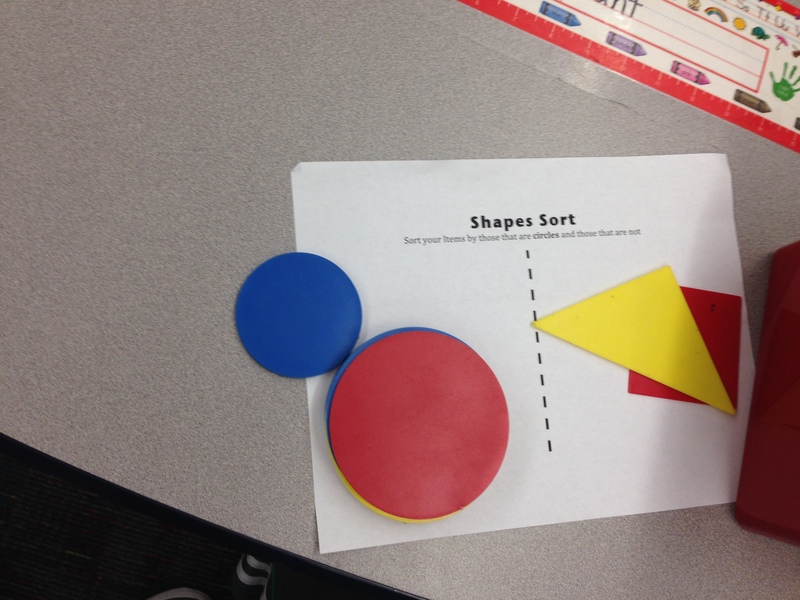 For math workshop students sorted shapes and picked shapes based on their number of sides in a Geometry Tic-Tac-Toe game. 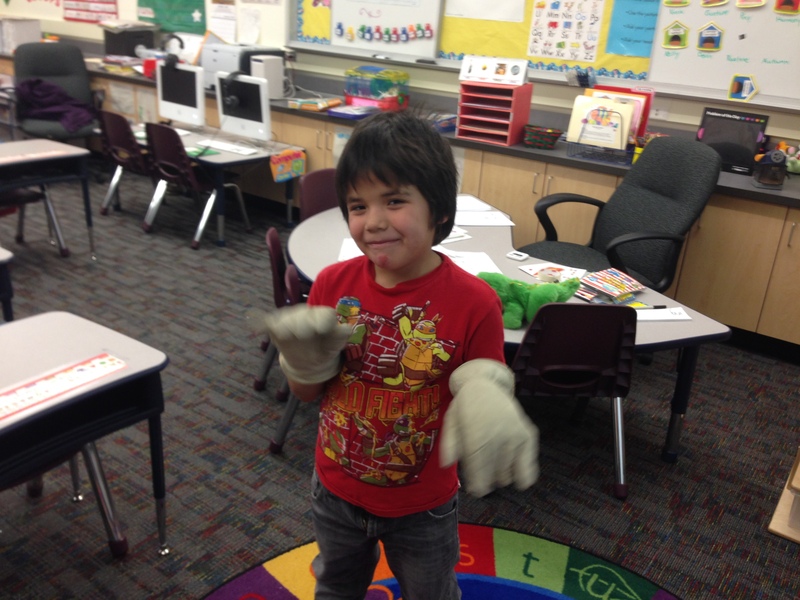 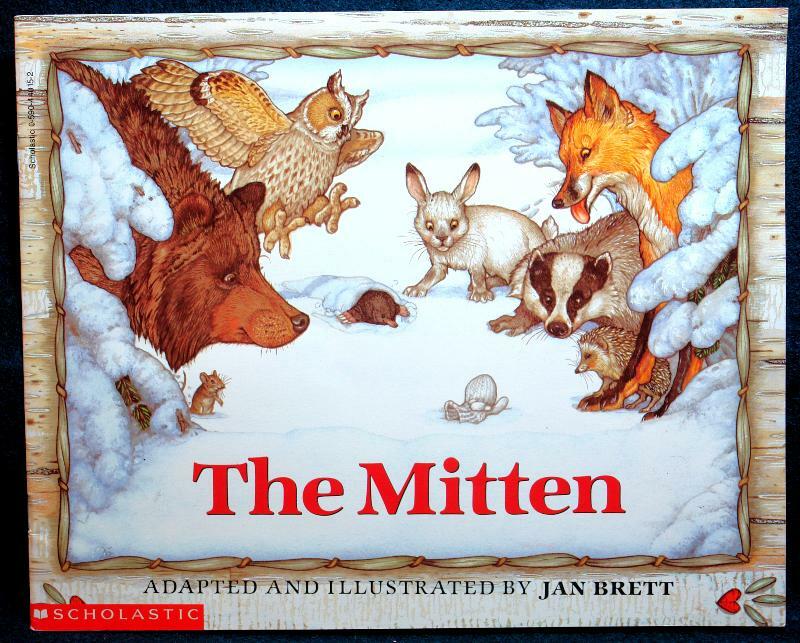 We read Jan Brett’s The Mitten and discussed the characters of the story. 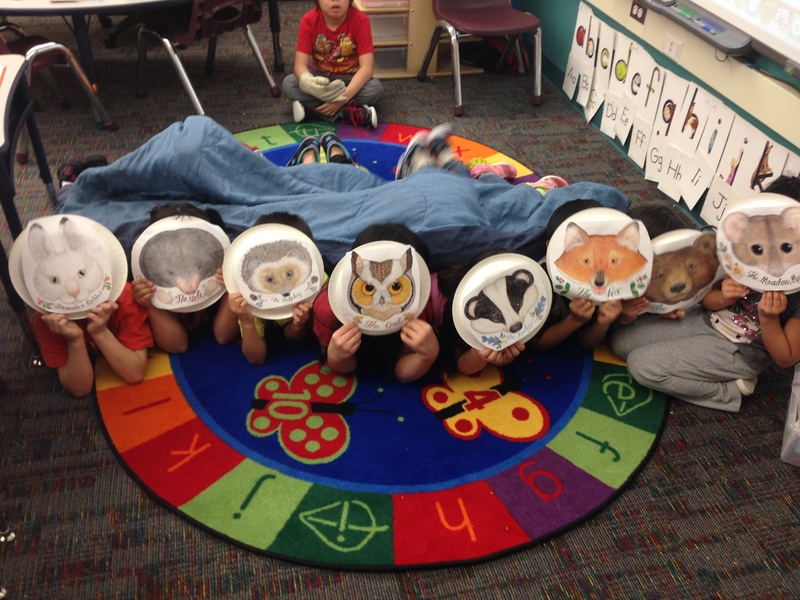 We also retold the story by remembering the correct sequence and we retold the story using a blanket and masks. 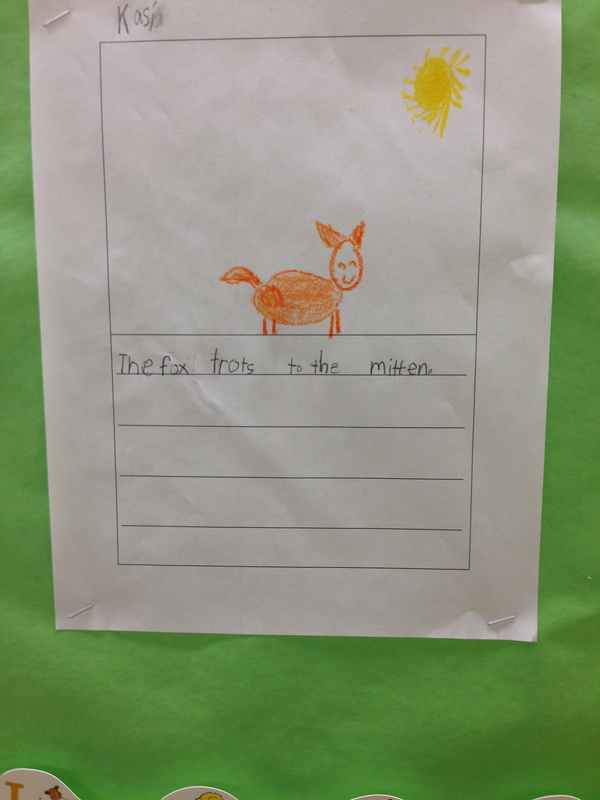 After the retell, students wrote about their favorite character. 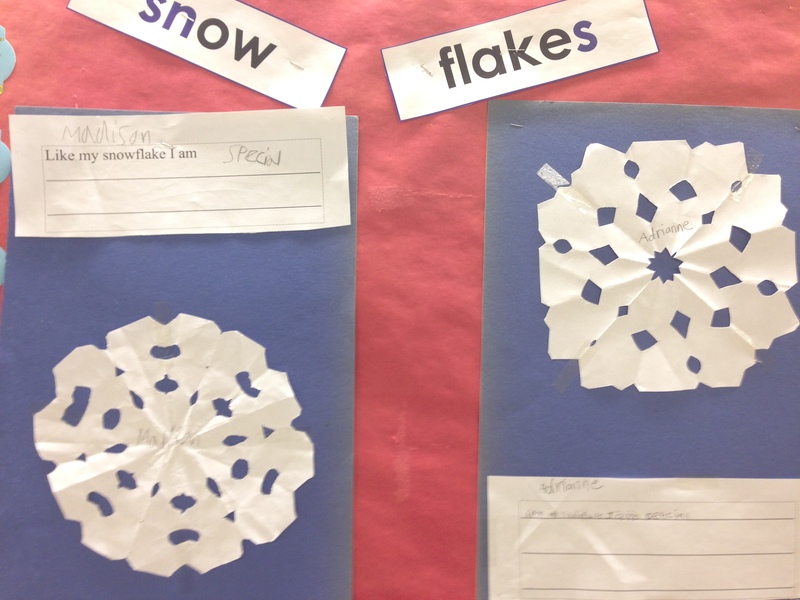 As we continue on with our weather / winter units we read a new poem and learned new describing words to the song “Snowflake”. 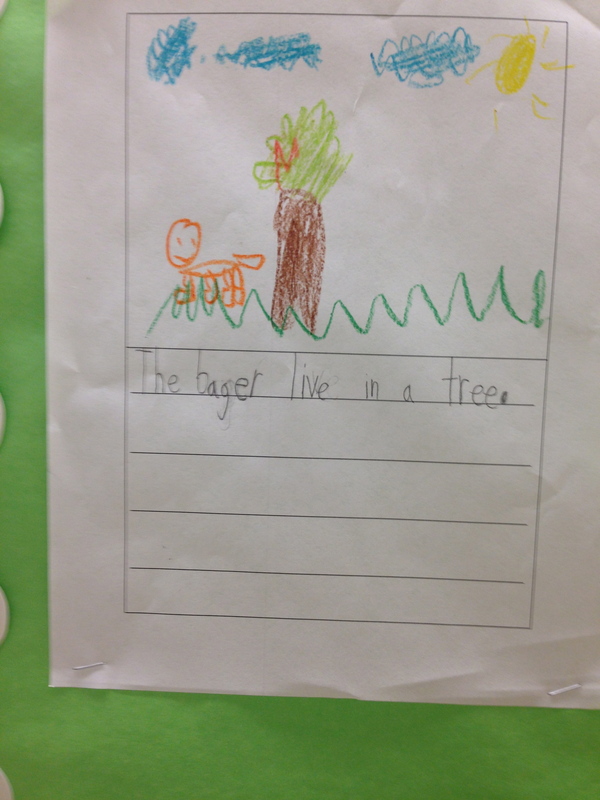 Then we discussed the author’s purpose and what the author was really trying to say. 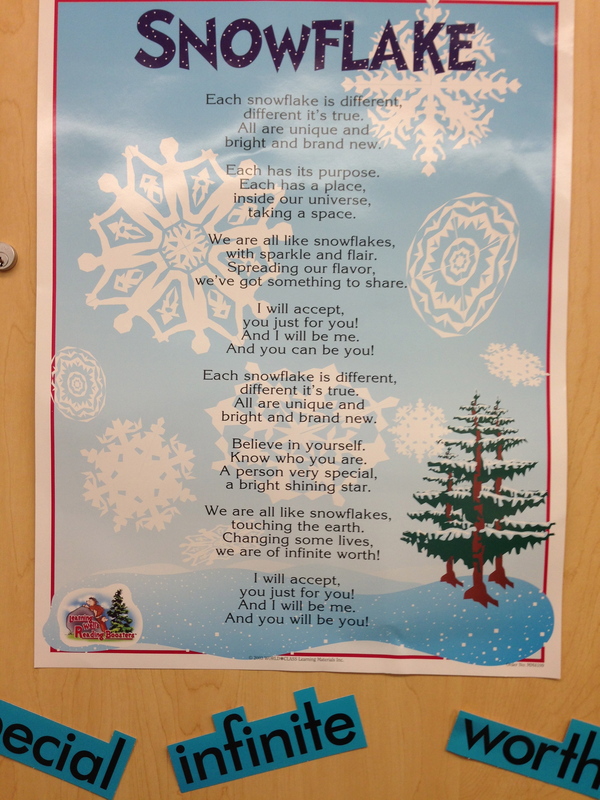 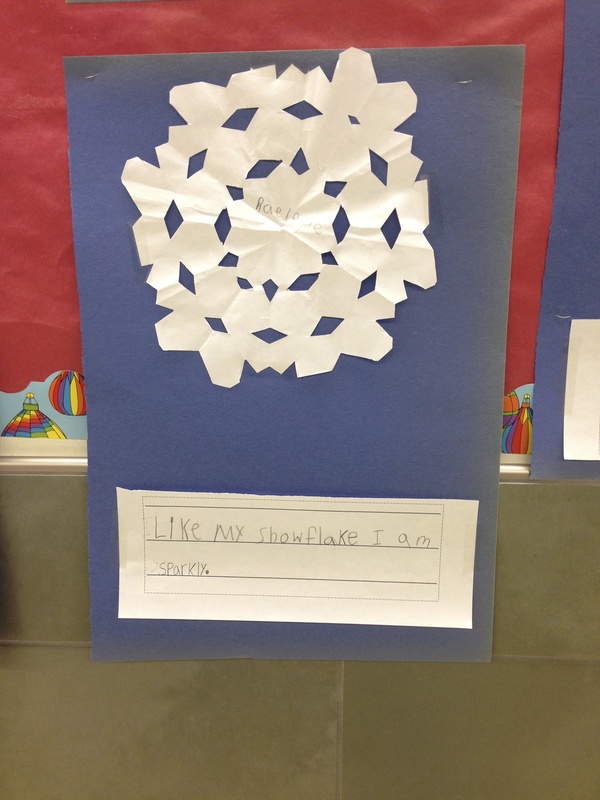 We discussed how even the title was Snowflake, the poem was about how people are all different from each other like Snowflakes. 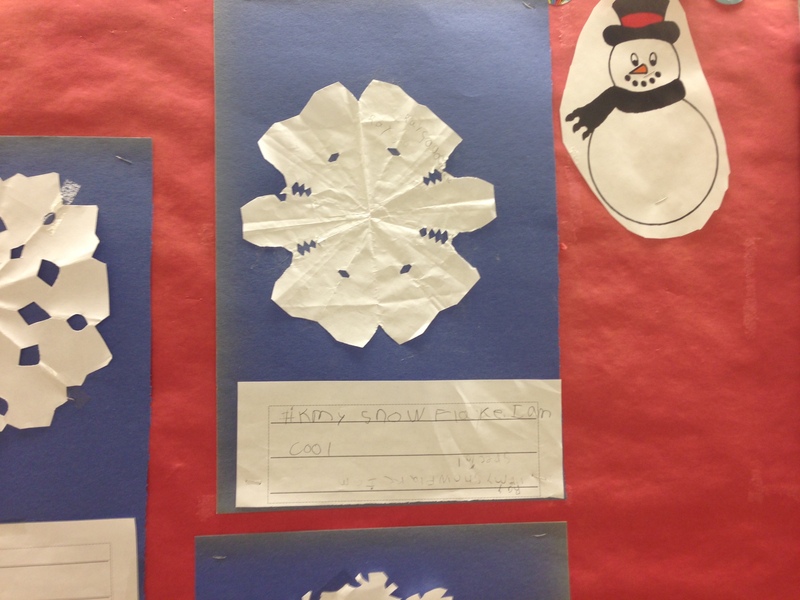 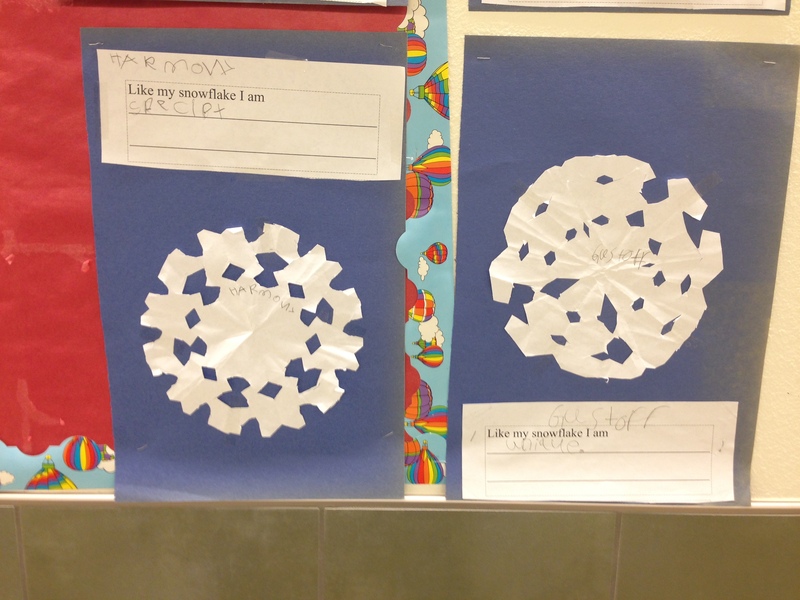 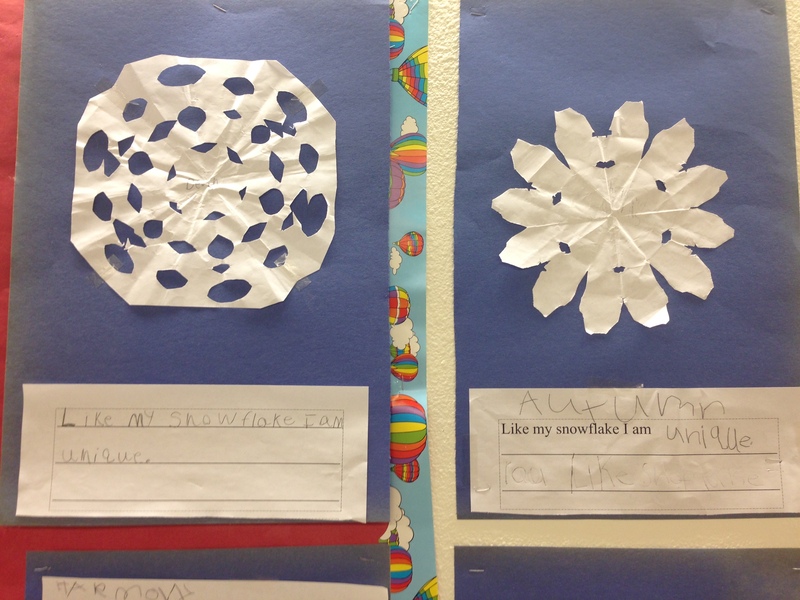 Then we made paper snowflakes and wrote how we are like our snowflakes, using describing words from the poem and other describing words we have learned. 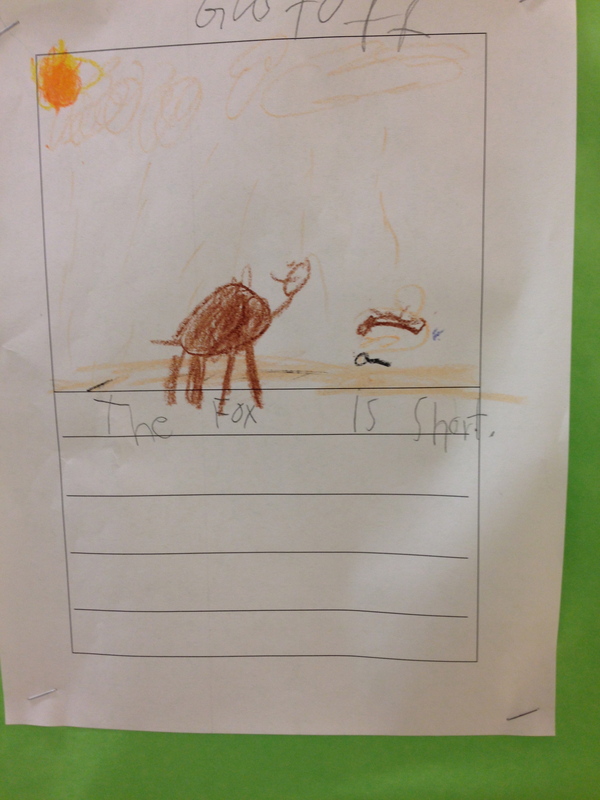 Coming back from break we talked about how Author’s have reasons for writing their stories, and what they are trying to say in their writing. 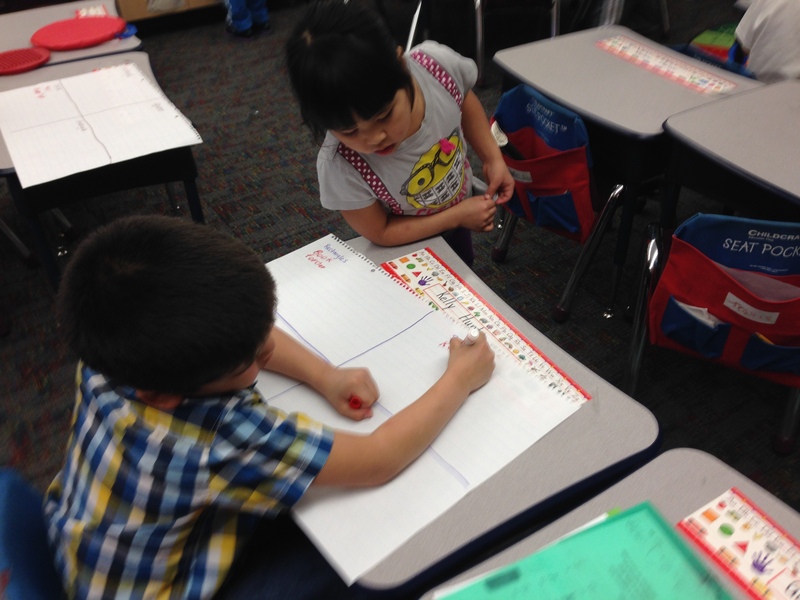 We discussed the two major reasons that author’s write; is to either entertain or inform. 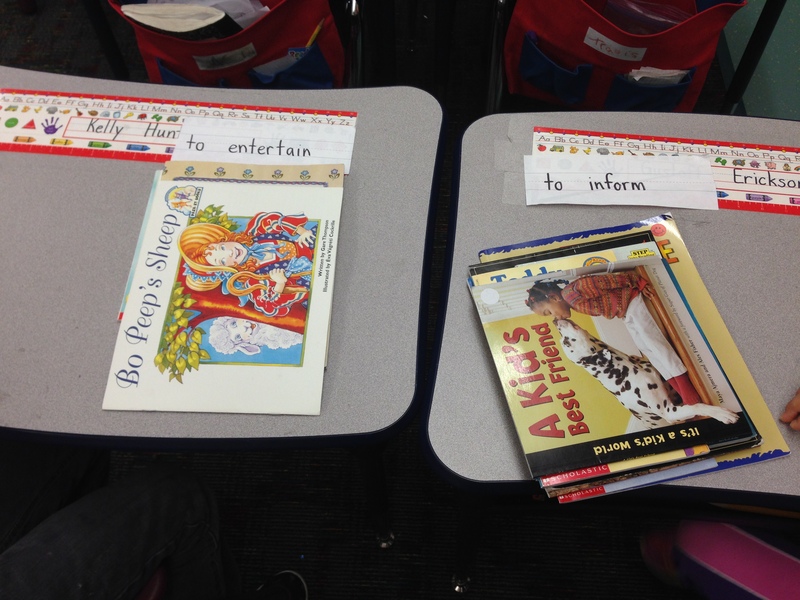 We then made a list of different books we had read and put them either in a category of to inform or to entertain. 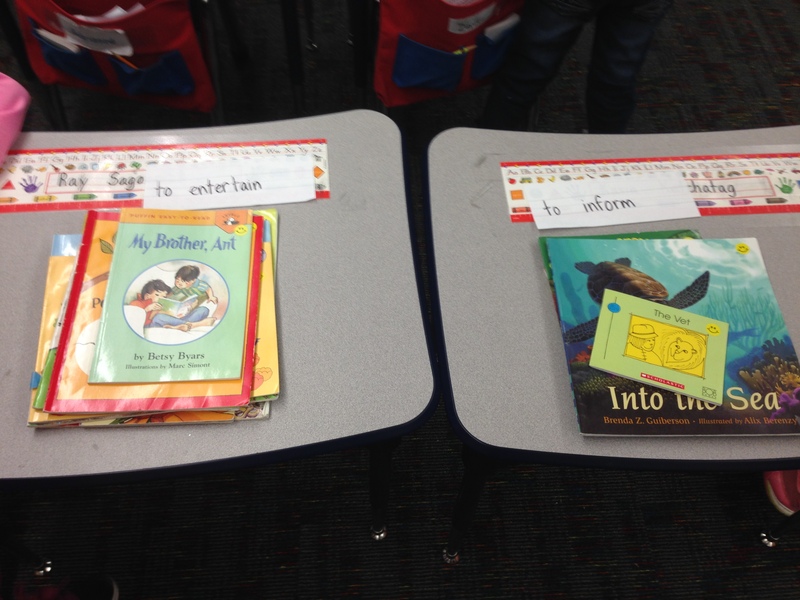 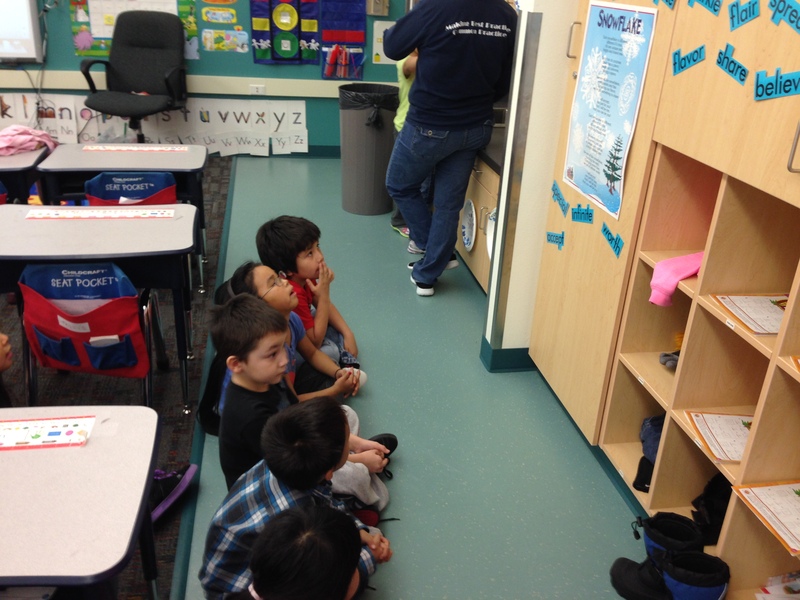 Students were then split up into groups and given a collection of books. 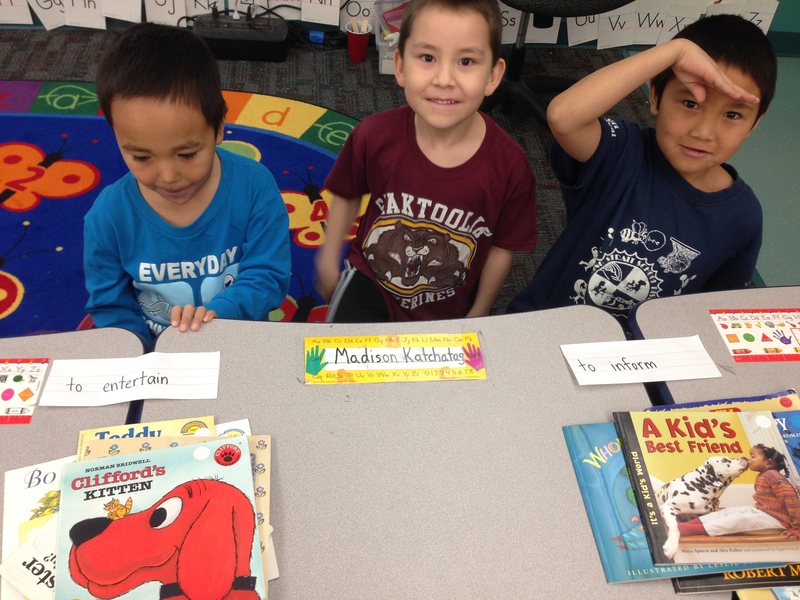 They looked through the books and put them into those categories.